Above nominal capacity based on fish fillets with a loading of 5 kg/m2 at 12 mm thickness, product infeed 10℃, product out feed -18℃ and Evaporating temperature -40℃. The ambient air surrounding the tunnel should be low temperature and low humidity. PLC Touch Screen Control is a very fast and smooth operation controller. 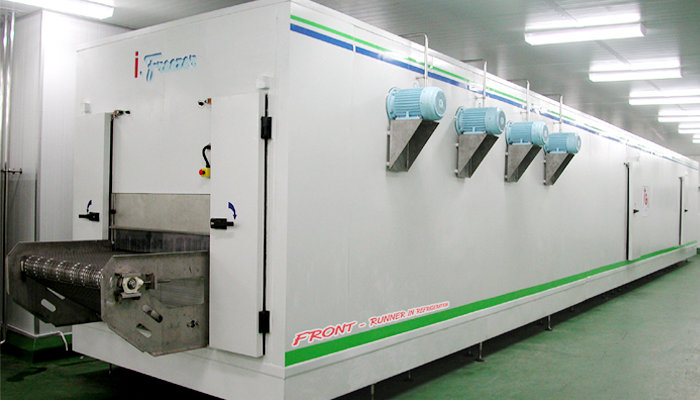 Certainly, that this unique freezer can quickly freeze the products with an even air distribution can prevent them from spoiling. A conveyor belt, assembled from stainless steel, has many optional designs (mesh form, thread-like, etc.) depending on manufacturer’s and customer’s requests. Moreover, the Dual Impingement Airflow can create perfect air distribution which can accelerate the freezing and the heat transfer process in the machine. It can reduce weight loss and minimize dehydration the products. 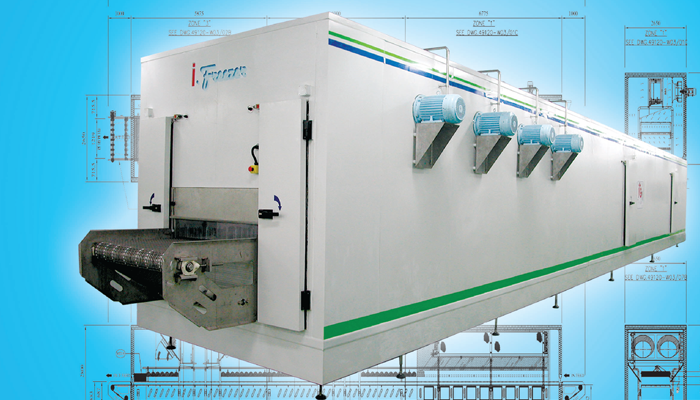 Therefore, in term of performance, Tunnel Freezer definitely has the edge over its competitors. << กลับหมวดสินค้า Freezer & IQF.